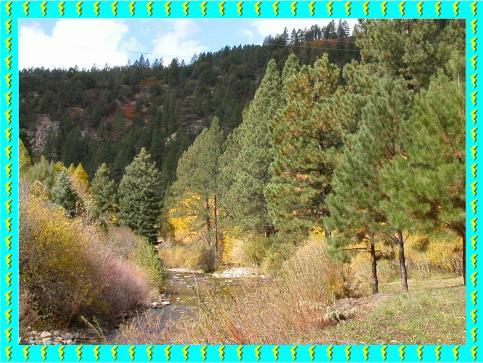 The cabin is located on the Pecos River, in a canyon in the heart of the Sangre de Christo Mountains, part of the Southern Rocky Mountains. The cabin faces the Pecos River and magnificent craggy mountain faces. There is trout fishing right outside the front door and hummingbirds abound at the cabin feeders. Visiting are occasional ducks, turkeys, deer, raccoons, foxes and the rare beaver, skunk, bobcat and bear. The Pecos River offers exciting trout fishing from the river bank and islands accessible to the cabin, as well as various lovely locations along the canyon road. Visitors may easily obtain a New Mexico fishing license, bait and tackle at the "Tererro General Store and Riding Stables" a short distance up the road or at the "Canyon Station" gas station and grocery store in Pecos. 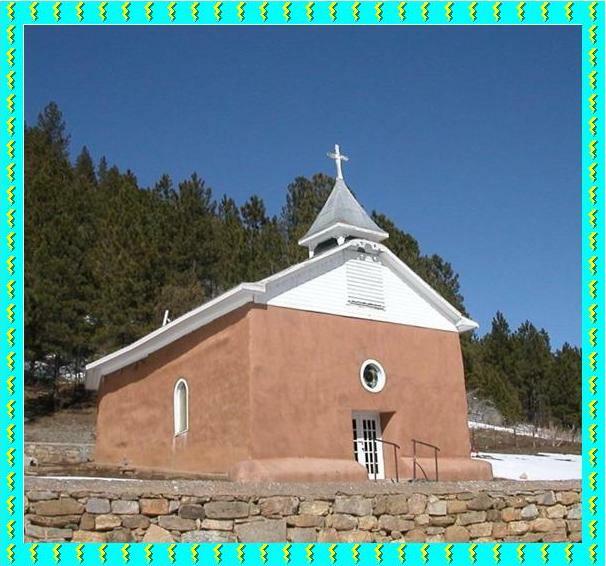 The upper Pecos Valley preserves 12,000 years of history including the ancient pueblo of Pecos, at the Pecos National Historical Park, Colonial Missions, Santa Fe Trail sites, and the site of the Civil War Battle of Glorieta Pass. For several centuries the Upper Pecos Valley has been one of those rare places where the impact of geography on human experience is strikingly clear. Many hiking trails in the Pecos Wilderness and the surrounding Santa Fe National Forest, some to remote alpine lakes, are a short drive farther up NM 63. 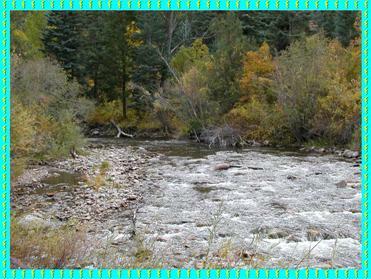 The road narrows and winds along the river and coming to a dead end high in the mountains at Jack’s Creek. Maps of the Santa Fe National Forest and the Pecos Wilderness, along with other useful information, can be obtained at the Pecos Ranger Station in Pecos. The Village of Pecos, ten miles to the south on NM 63, is home to several local restaurants offering northern New Mexican cooking, an old fashioned grocery store, and gas stations. Near the village is the Pecos National Historical Park and Monument with ruins of Pecos Pueblo. The state capital of Santa Fe, with the world class Santa Fe Opera, the Lensic Performing Arts Center, numerous wonderful museums and art galleries and many exciting and innovative restaurants, is a scenic forty minutes to the west.